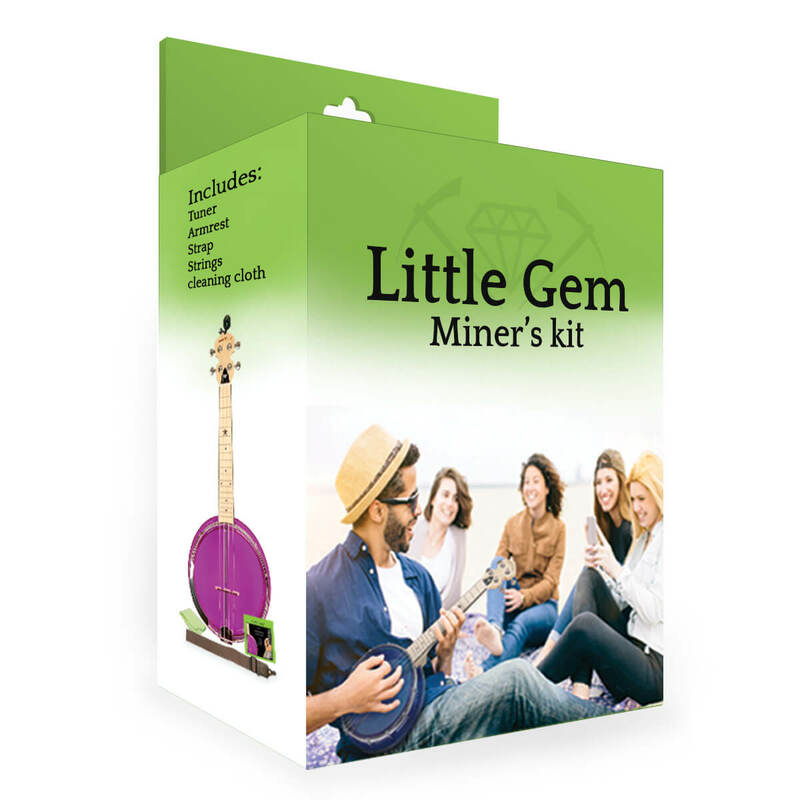 The perfect kit to get your ukulele career started with your Little Gem banjo ukulele! Comes with everything you need to keep the fun going. Includes: Arm Rest, Clip-on Tuner, Strap, Spare Strings, and Polishing Cloth. It's always good to have a set of back-up strings! You never know when you will break a string at the most inconvenient time. It doesn't hurt to order a couple sets of strings and leave one in your bag, one in the car, and anywhere else you might be. 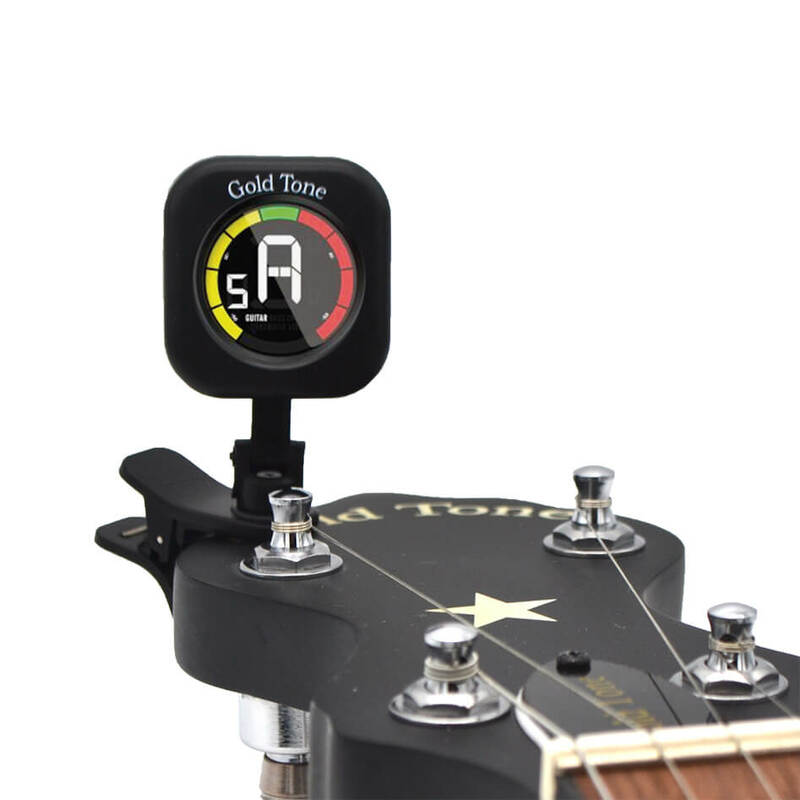 Keep your Little Gem in tune with our CCT tuner! The CCT is the most versatile clip-on tuner you can buy. Its 360-degree display screen can be adjusted in three dimensions to achieve the perfect viewing angle whether it's mounted on the front or back of the headstock, on a banjo rim, or on any acoustic instrument in any location that has a perch for the clip. 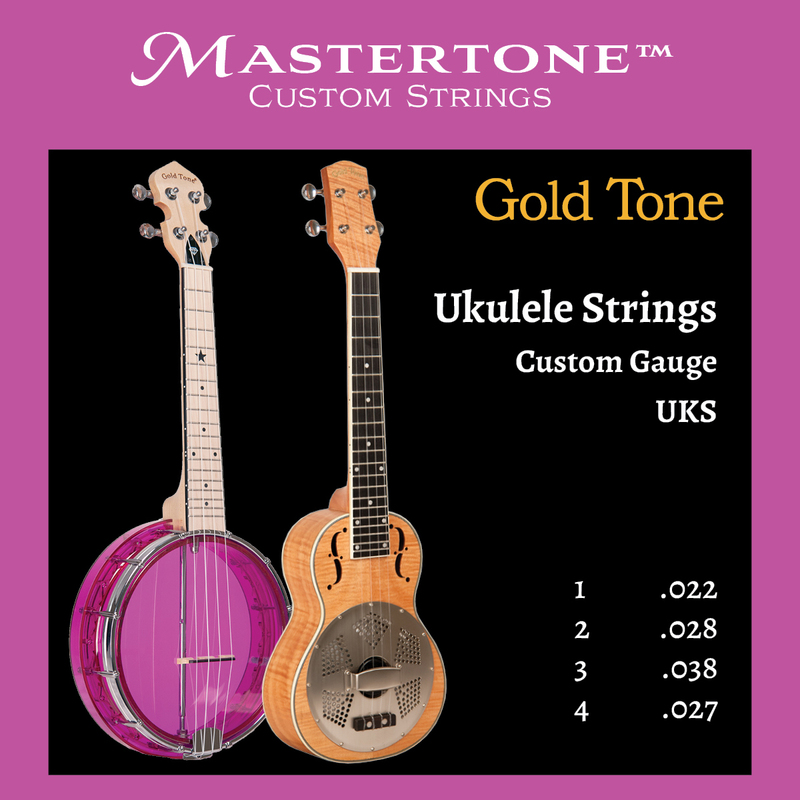 The CCT has presets for ukulele, chromatic tuning, guitar, and even mandolin/violin. Tired of holding up your banjo uke all the time? Then get a strap! 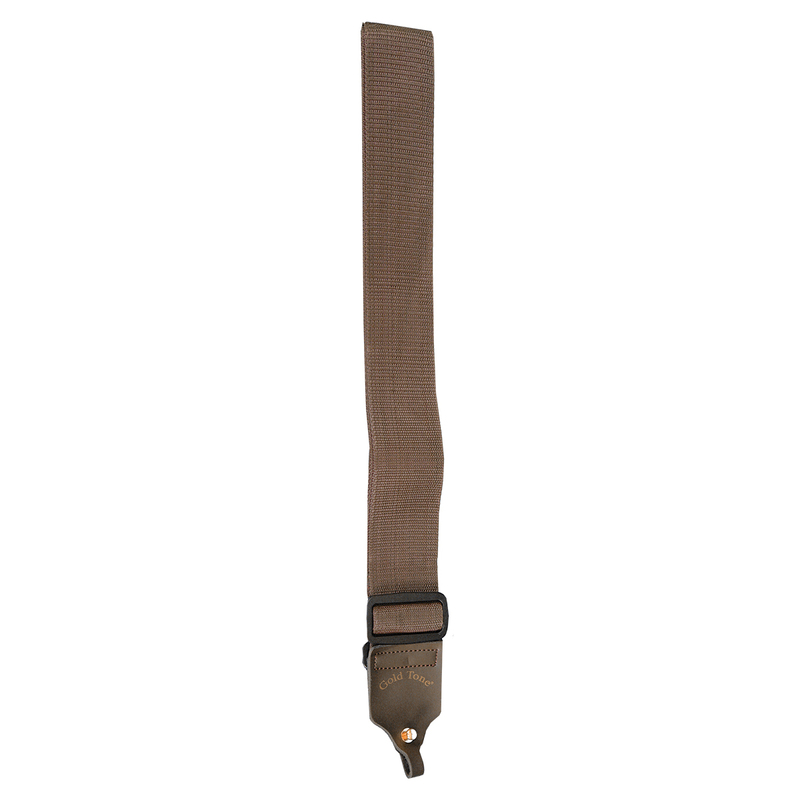 This strap mounts to the metal brackets and sits comfortably, without the worry of it falling or coming loose (like some uke straps). It secures to the brackets with leather tabs and a plastic bolt-and-nut. Add a little comfort to your Little Gem with an armrest! 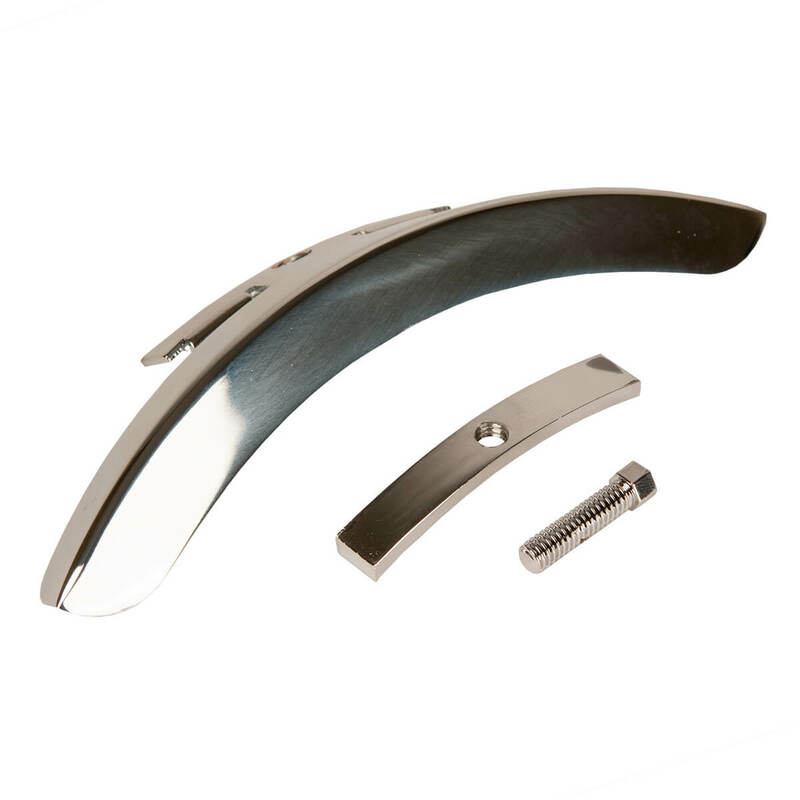 An armrest attached to the rim and gives you a comfortable place to place your arm while playing. Does require modification to the banjo uke. Want to plug in and amplify your Little Gem? The ABS pickup is the easiest way to do so! Just clamp the ABS to the brackets of your Little Gem and plug in. The ABS reliably captures the sound of your banjo uke at the precise spot you prefer for the tone you're after, without the annoyance of extraneous vibrations. 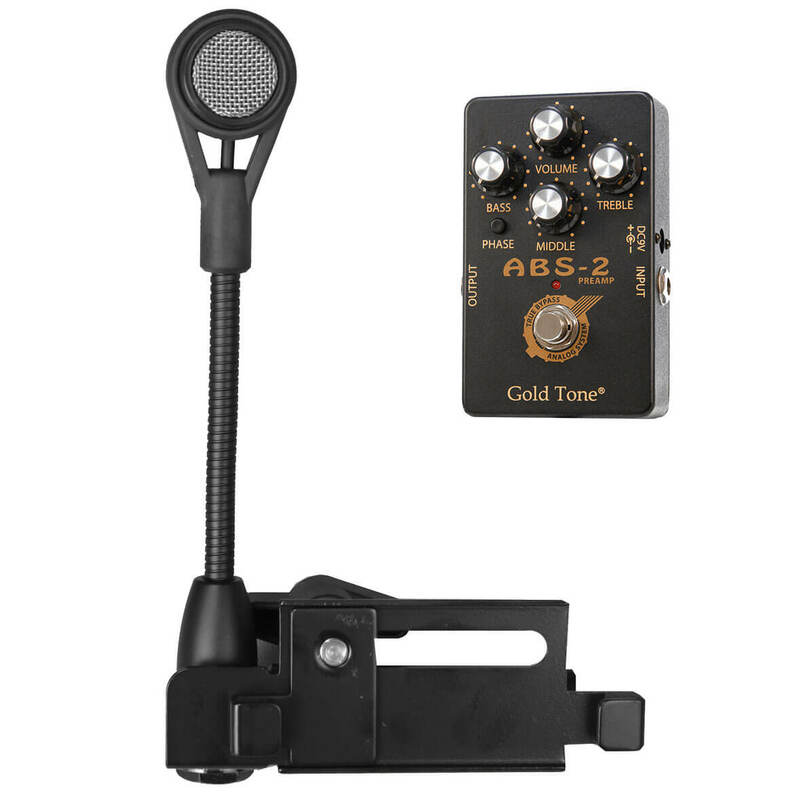 The ABS can be moved from one instrument to another in seconds and includes a stomp-box preamp. Connects to the sound system or amp via a standard 1/4" guitar cable. Clean and protect your instruments to extend their lifetime. 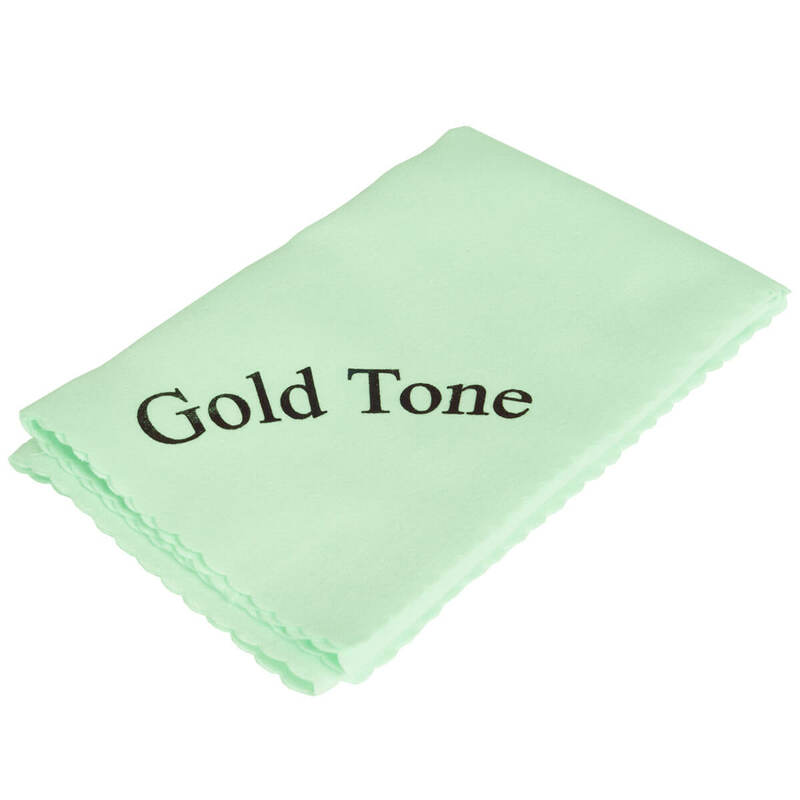 These microfiber cloths are perfect for maintaining your instruments (or cleaning your sunglasses).